Summer has started and we have moved outdoors. Here are a few safety tips to remember when planning for this holiday season. • Be safe swimming. Never swim alone, and make sure that kids’ water play is adequately supervised at all times. Statistics show that most young children who drown in pools have been out of sight for less than five minutes. • Apply sunscreen before heading outdoors and reapply as needed. Ultraviolet rays from the sun can cause premature aging and skin cancer and those with darker skin should use a sunscreen with a minimum sun protection factor (SPF) of 15, according to recommendations from the American Academy of Dermatology. • Drink plenty of fluids to avoid heat illness in extremely hot climates. The risk of heat illness is increased for the young and old. Remember to check your medication interactions with sun and those with chronic medical conditions. 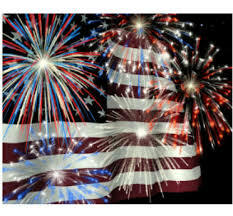 • Fireworks injuries take 200 hundred people a day to the emergency room in the month of July! Keep the kids and pets away from the fireworks at all times. Attending fireworks displays organized by professionals is always safer than trying to put on your own show. • Check for Ticks!! Remind your family to check themselves (and your pets) for ticks at the end of the day. Being outdoors near grasses, woods, hiking or camping in any area where ticks are abundant, wear long-sleeved, light-colored shirts and long pants tucked into socks or boots to protect you from tick-borne diseases. The Academy of Pediatrics recommends that repellents should contain no more than 30% DEET when used on children. • Remember don’t leave food out at your event all day. Allowing food to sit in outdoor temperatures can invite foodborne illness to your event. The FDA suggests never leaving food out for more than one hour when the temperature is above 90 F and not more than two hours at other times. Foods that need to be kept cold should be placed in a cooler with plenty of ice or freezing packs and held at a maximum temperature of 41 F.
Have Fun!!! Stay Safe This Holiday! Reviewed by: Beth Stefura, Extension Educator, The Ohio State University Extension, Mahoning County.